"As a football-obsessive illustration graduate from Preston, it took combining my love for the game with my work to truly ignite my passion for drawing, and more specifically, portraiture. Working exclusively in coloured pencil I began with quick sketches of players often with sharp, expressive lines and bursts of vivid colour. However, in the years since and with more practice, I have progressed on to more detailed studies, still using only a handful of colours but with pieces often taking 20+ hours to achieve far higher levels of detail. It was a great compliment to be approached about drawing Terry Allcock and fascinating to read about his distinguished career, not only as a Norwich City legend but in cricket too! 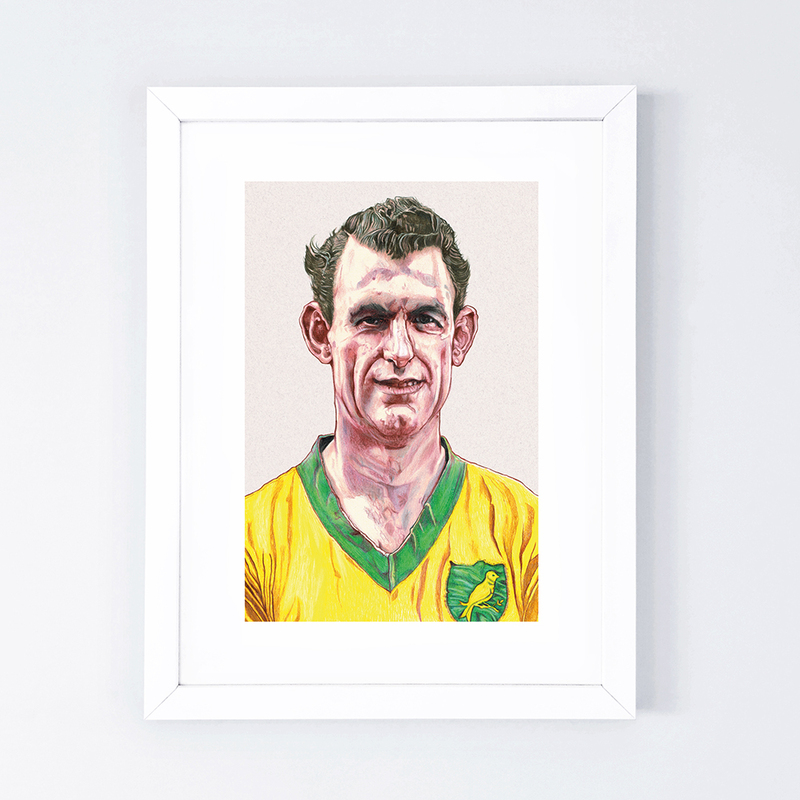 Being an avid collector/hoarder of vintage football shirts it was also inspiring to look at the old kits and crests in the black & white photos and it was here I had the idea to draw the portrait in full colour and bring back the famous yellow and green of the shirt. It was a rather painstaking process to replace the colours as accurately as possible but it was thoroughly enjoyable and this has been a fantastic project to be part of."